IT'S YOUR FISH. We protect it. Spokane’s signature fish, the wild Redband trout, deserves to be saved, defended, and protected. The wild native Redband trout has lived in the streams and rivers of this region for thousands of years. Feeding countless generations of inhabitants of the Spokane and surrounding areas. The Redband is our iconic native fish, threatened by habitat degradation. The community of Spokane is in control of its future. The Redband population has been severely reduced due to habitat destruction, warm water temperatures and the negative effects of sediment loading on riverbeds. • Spokane’s iconic Redband is a subspecies of the rainbow trout. • Current population estimates of 300 fish per mile downstream of Spokane are much lower than other local "blue ribbon" trout streams. • The United States Fish and Wildlife Service records the Redband trout as a species of concern. • The Redband trout is visually distinct with its rosy to brick red coloring (or band) running the length of its body, from its gills to tail. • The Redband has darker and larger rounded spots than a rainbow trout and keeps these beautiful, freckle like dark marks through adulthood. • Washington Department of Fish and Wildlife (WDFW) consider the Redband trout to be a sentinel species and a barometer of aquatic health. Removal of shoreline forests cause high water temperatures, sediment, and "flashy flows", all of which harm native Redband Trout. Riparian vegetation such as this protects water quality and provides habitat for trout and other organisms. 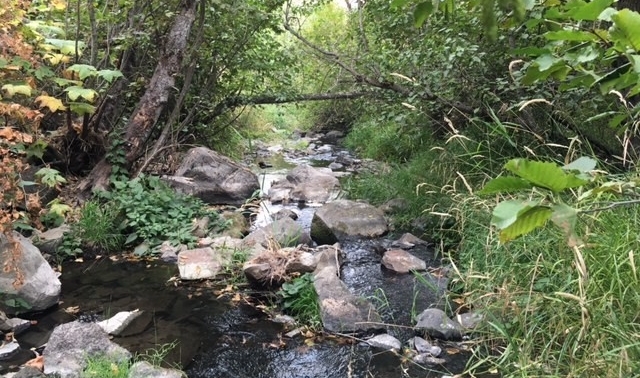 Loss of riparian habitat leads of poor water quality. The Redband inhabit the cool clean waters of the Spokane River ecosystem. The Spokane River and its tributaries are prime spawning habitats for trout. The Redband trout are not stocked and naturally reproduce. 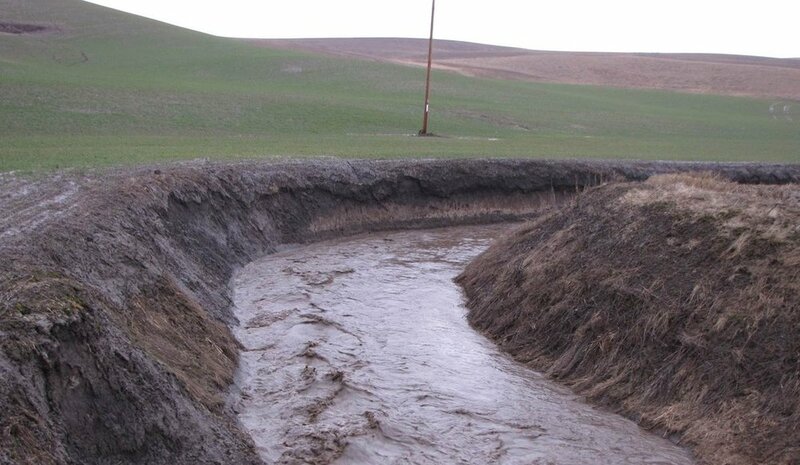 Redbands need gravel riverbeds free of silt for successful spawning. This silt carries nasty nutrients like phosphorus that promote algae growth and deplete oxygen that fish need to breath. Shoreline forests and vegetation help keep our River clean and provide essential habitat for trout. Join the redband rally to explore what our partners are doing to protect this native fish. The Redband Trout is your fish, help Keep the Spokane River Wild and restore the native Redbands. Local organizations have joined together restore our native trout. Creating objectives for the conservation of the Redband and implementing these practices we achieve our goals of saving, defending, and protecting Spokane's iconic fish. Silver Bow, SFTU, etc.